THE adoption of NSW children will be made easier under a massive reform that will require foster kids to be adopted within two years of entering the child protection system. A new law to be announced today will require caseworkers to find a permanent home for children in an open adoption with foster carers or permanent placement with a guardian such as an aunt. The reforms will also make it easier for couples who are desperate to adopt a child to do so as foster kids will be free of the system and available for adoption more quickly. 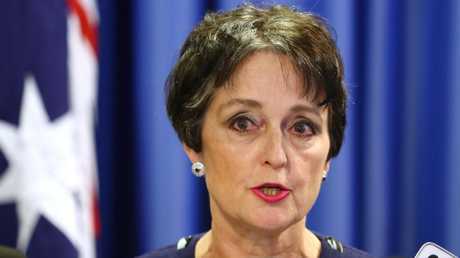 FACS Minister Pru Goward said the reforms were being brought in to stop children languishing in the system for their entire childhood. "Sadly there will always be children who are unable to enjoy a secure upbringing with their parents. Those children deserve to grow up in protective and permanent homes with adults who love them and care for them," she said. "That is why we are reforming the system to ensure children have a safe and loving home for life within two years of entering the child protection system." Currently when children enter care the court appoints the Family and Community Service Minister as their guardian until they are 18. This will reduce to two years under the changes. The government believes the current arrangement condemns children to a life in care with the average foster child spending 12.5 years in the system as the majority of birth parents never become fit to have their children returned to them. Premier Gladys Berejiklian said short-term court orders will mean children no longer spend years moving between homes in the out-of-home care system. "We want all children to know that they have a loving and safe home for life," she said. "When it is no longer safe for a child to stay at home, we want them to have a permanent home as quickly as possible through guardianship or open adoption. These reforms will help speed up that process." The government is also empowering the Children's Court so they can declare a birth parent a vexatious litigant if they continue to lodge frivolous applications to interrupt their child's life. This will limit a parent's ability to interrupt an adoption that is in the best interest of the child which will streamline the adoption process. There are over 18,000 children currently in the foster care system in NSW.